Most of the developing and underdeveloped countries suffer from malnutrition issues such as underweight/stunting and much of their governments’ focus and NGOs intervention are invested in tackling such issues. Many countries such as India are now facing a double burden of underweight and obesity. 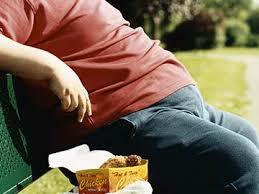 Changes in food habits, appetite for densely caloric food and a sedentary lifestyle are the major causes for obesity. There is a significant rise in obesity/overweight figures in India over past several years according to World Health Organization (2015) data. Prevalence of overweight in adults increased to 22% (2014) from 19.7% (2010) and obesity increased to 4.9% (2014) from 4.0% (2010) in 4 years. According to the data, 14% of women (18 to 49 age) in India were overweight or obese in 2008 (compared to 10.5% in 1998).The National Family Health Survey-3 (2006) also reported higher obesity/overweight rates in urban areas and higher socio-economic groups compared to the rural areas (urban men vs rural men: 15.9% vs 5.6%; urban women vs rural women: 23.5% vs 7.2%). Obesity and overweight are linked to several chronic diseases such as diabetes, cardiovascular diseases and cancer. School health, awareness/education and community efforts on healthy eating and exercise and adequate nutrition labelling will be key to curb obesity in India.